Tracy Phillips started playing golf when he was two years old. He was ranked the #1 junior golfer in the USA in 1979 and 1980. Tracy and fellow junior golfer, Tommy Moore, were picked to represent the USA in the Inaugural Junior World Cup in Scotland, winning the competition against the best junior golfers from 16 countries. Tracy received a golf scholarship to play at Oklahoma State University and won his first college tournament by 10 shots, receiving the honor of being named the second team all-American in 1981. Tracy’s teaching career started at Cedar Ridge Country Club. 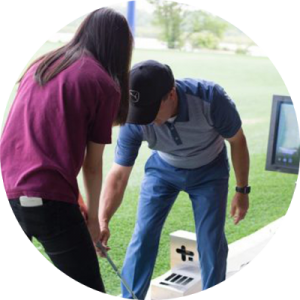 A few years later, Tracy moved to McKinney, Texas and began teaching with Hank Haney. He moved back to Tulsa to build Tee Town Golf Ranch, a golf driving range, after which he returned to Cedar Ridge Country Club as Director of Instruction for 15 years. Ranked by Golf Digest as the number one teacher in the state of Oklahoma.